This is too cool. I generate enough recycled material to make 1 of these every week. The design for the sculpture was created by architect J.D. Messick. 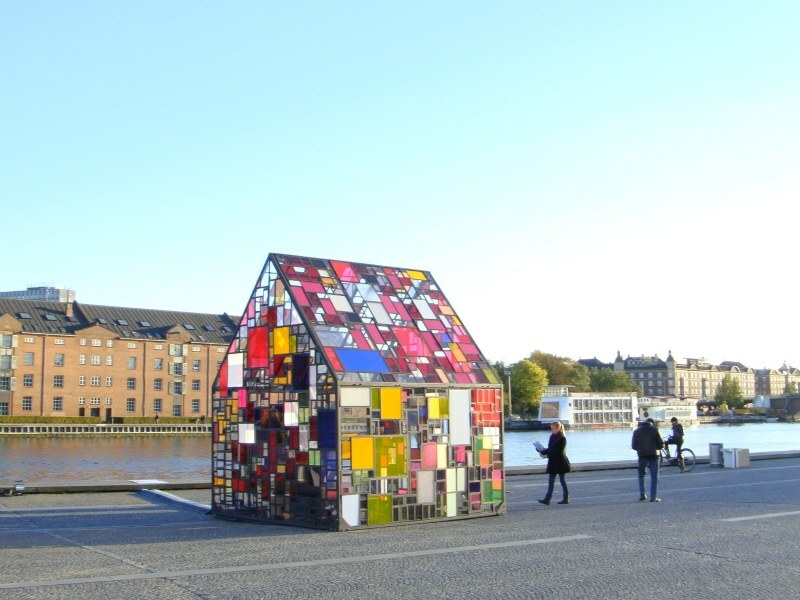 Tom Fruin, a New York-based installation artist, recently traveled to Copenhagen where he built this stunning outdoor pavilion in plaza outside of the Royal Danish Library. 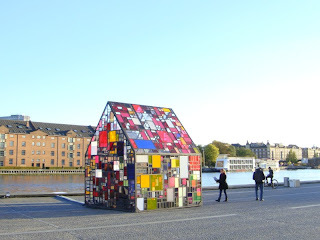 Constructed out of hand welded angle iron and about a thousand scraps of reclaimed plexiglass, Kolonihavehus is a portable structure commissioned by CoreAct, a Copenhagen-based performance company headed by Anika Barkan and Helene Kvint. Homemade solar panel - use Plexiglass or Lexan?